I picked this toy up for $1.50. He-Man and the Masters of the Universe have been pretty popular in our house over the past few months and I thought this toy would be a fun addition to the boys’ play room. It comes from Mattel’s unsuccessful attempt to reintroduce the Masters franchise in the early 2000’s. Although Mattel seemingly pulled out all the stops to get boys interested in the property (lots of toys, a new animated series), the company was unable to capture lightning in a bottle twice. By and large, kids did not go for this new update of He-Man. The endless variations of He-Man and Skeletor warmed the shelves of toy aisles, unpurchased, while the much harder-to-find ancillary heroes and villains were scalped for big bucks. Collectors are still pretty into the line today, which is the other reasons why I thought a dollar and two quarters was a fine deal for this thing. This Battle Tank is missing the gun mount on the back and two projectile missiles, but otherwise it’s in perfect shape. 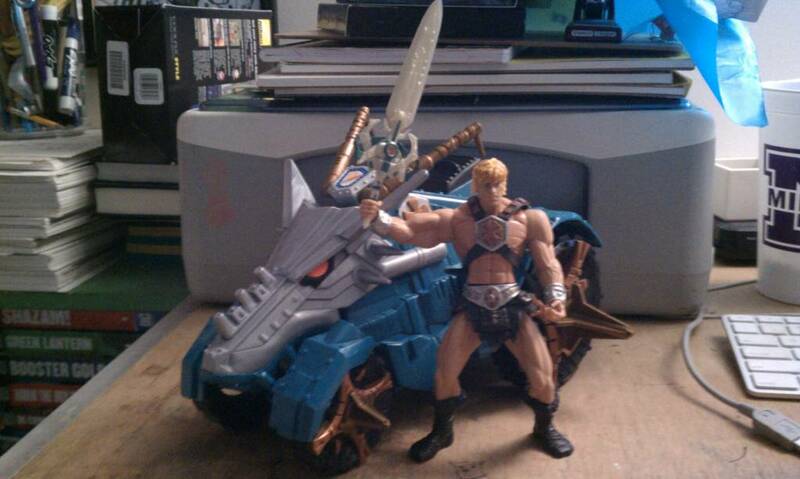 Ditto the He-Man toy included, which still has his power sword. At any rate, this will live in our “big boy toys” bin and Elliot and Henry will enjoy it. 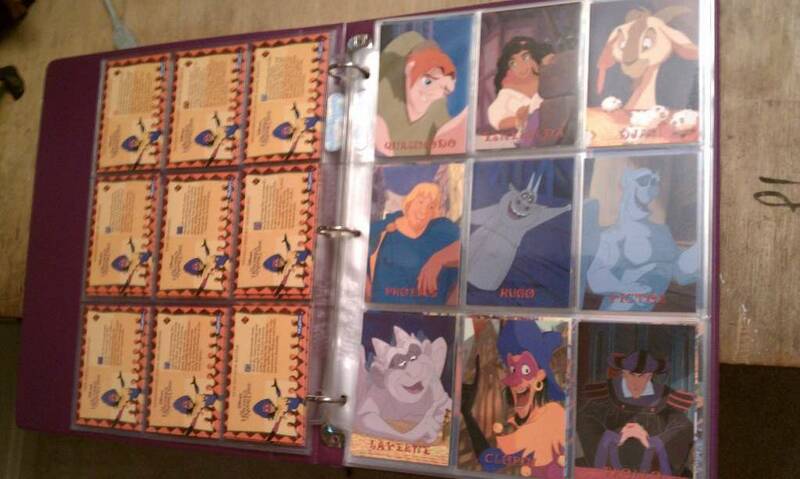 The Hunchback of Notre Dame always seemed like a boneheaded idea for Disney. 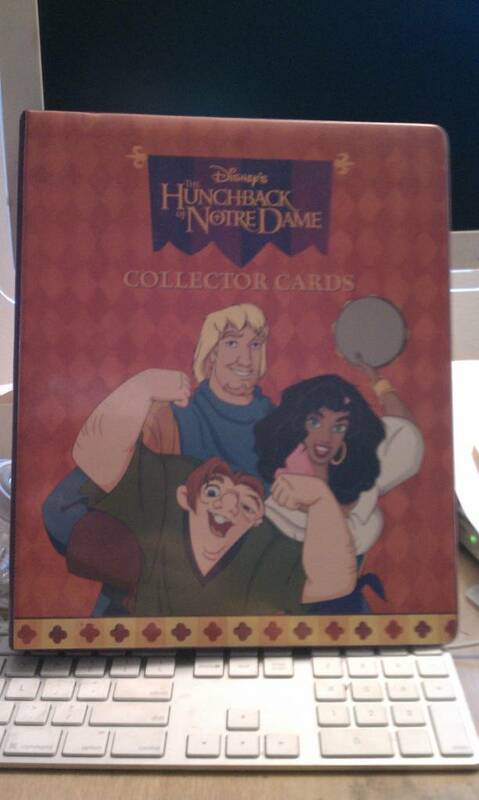 Nothing about the Victor Hugo novel screamed “turn me into a 90 minute cartoon with anthropomorphic gargoyles!” While the flick does have gorgeous animation as well as some fine songs (The Bells of Notre Dame is a favorite of mine), this was a miss for Disney. I’ll always think of Hunchback as the movie which ended Disney’s glorious hot streak at the box office and their reemergence as a force in animation, stretching all the way back to 1989’s The Little Mermaid. …with all the fun chase cards included. Here are some iron-ons. 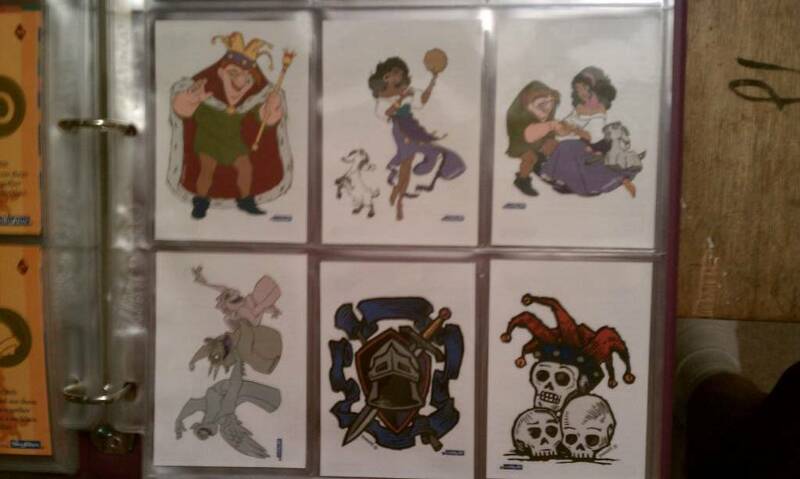 This wasn’t exactly a collector’s set; these were trading cards meant for kids. To find them in such pristine condition was a surprise. The former owner of this set really took good care of the thing. I figured that was worth a dollar. 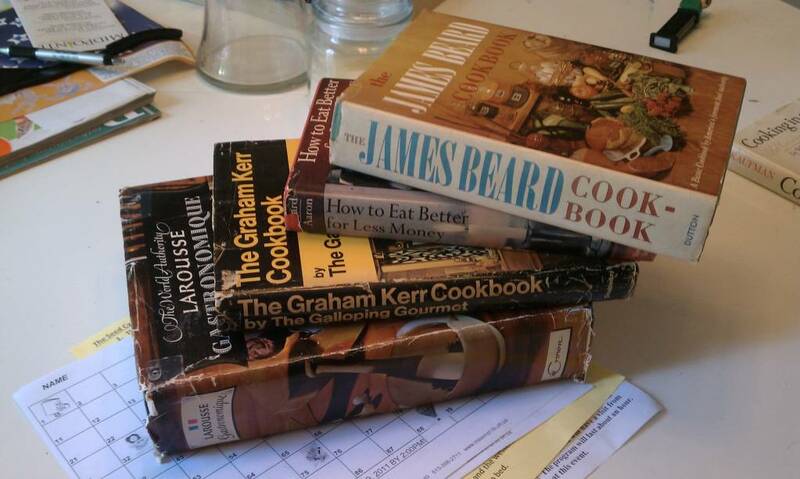 Maybe it was the setting (in a church hall) or that the boys were actually behaving themselves, but I knew the vintage-cookbook-collecting gods were on my side when Chris held up The James Beard Cookbook. This is a book so thorough, but also so basic it actually gives instructions for how to boil water, a lesson I could have really used a few years ago. Beyond this gem, I found three other treasures; Another James Beard goodie, How to Eat Better for Less Money, which surely will never go out of style, a Larousse Gastronomique from 1961, and the book I’m most curious about is The Graham Kerr Cookbook by The Galloping Gourmet, “he cracks jokes as he cracks eggs”! 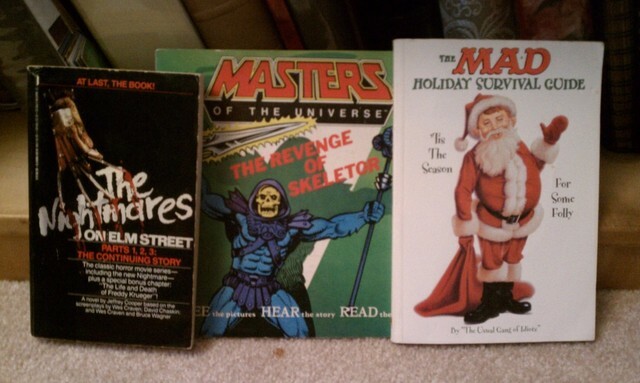 I think we paid fifty cents apiece for each book, $2 dollars for the lot! 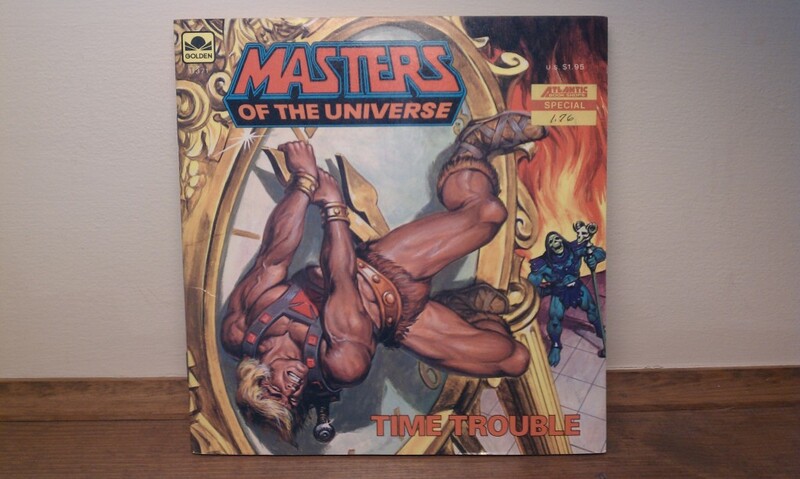 The second Masters of the Universe book in this set is Time Trouble. Written by Roger McKenzie with art from Eduardo Barreto, this was published by Golden Books in 1983, a year after last week’s TSF, Caverns of Fear. 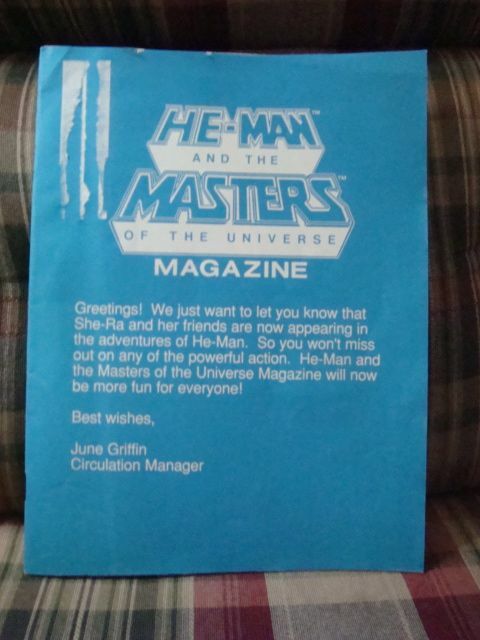 For the next two weeks, we’re looking at a collection of children’s books featuring He-Man and the Masters of the Universe, published by Golden Books in the early 1980’s. MotU was an early obsession of mine, hitting toy shelves and television screens just around the time I was old enough to appreciate such things. He-Man looms large in my mind as a show full of magic and adventure, but as with most things beloved in childhood, his televised adventures are best left to memory. 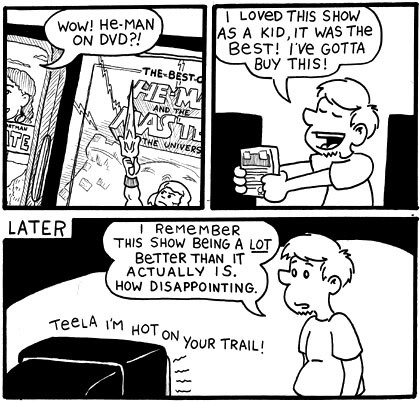 Revisiting them as I did in this comic, a few years ago leads to diminishing returns. Far more fun and interesting to me were the toys, which I collected and played with for years. These books recapture some of those memories for me. I’ll look at one this week, and one next week. If you have no interest in Masters of the Universe, you may want to skip TSF for the next half-month. 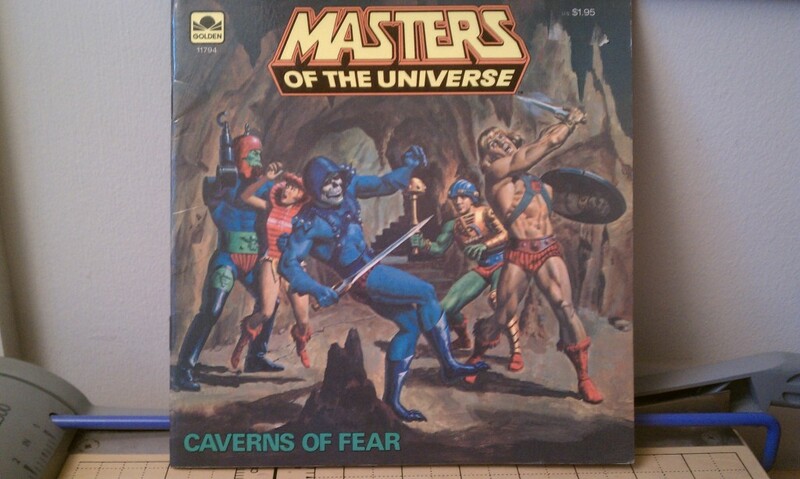 The first book we’ll be looking at is Caverns of Fear, published in 1983, was written by Mary Carey with illustrations from Al McWilliams. In this day and age, I imagine very few children’s toy properties rate their own magazines. A cursory look over the magazine racks at our local supermarket bears me out on this- although there are a couple of kid-friendly properties like Star Wars and Star Trek, those are not specific enough to make me think those magazines are intended solely for children. When I was a kid, I subscribed to a few periodicals tailored specifically to my toyetic interests; offhand, I remember there being a Teenage Mutant Ninja Turtles Magazine that I got in the mail, as well as a Tiny Toons Magazine. Often repositories for bad jokes, fan art, and the occasional nugget of news and information about your favorite toys, they were fun and I remember loving to get ’em in the mail… which is why I was pretty pleased to find this He-Man and the Masters of the Universe magazine in a stack of books our neighbor gave to Elliot a few days ago. 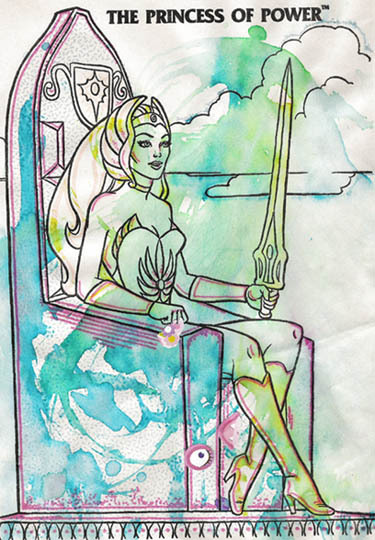 You may remember Elliot enjoying our neighbor’s last gift, a paint-by-water She-Ra: Princess of Power book that I scanned a couple of pages of around this time last year. 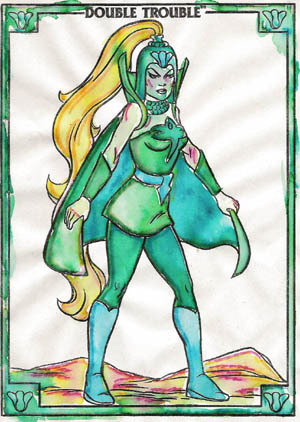 Continued from this post back in November, more paint-by-water pictures of the Princess of Power herself. …and my contribution, Double Trouble. Double Trouble never actually appeared in the She-Ra cartoon, I learned from this helpful Wikipedia page. Apparently, she’s a good guy. I never would have guessed. Last call on showing your support for the comic and my classroom through DonorsChoose! After today, I’m done asking for a loooong time. We’re only $55 dollars away from fulfilling one project!